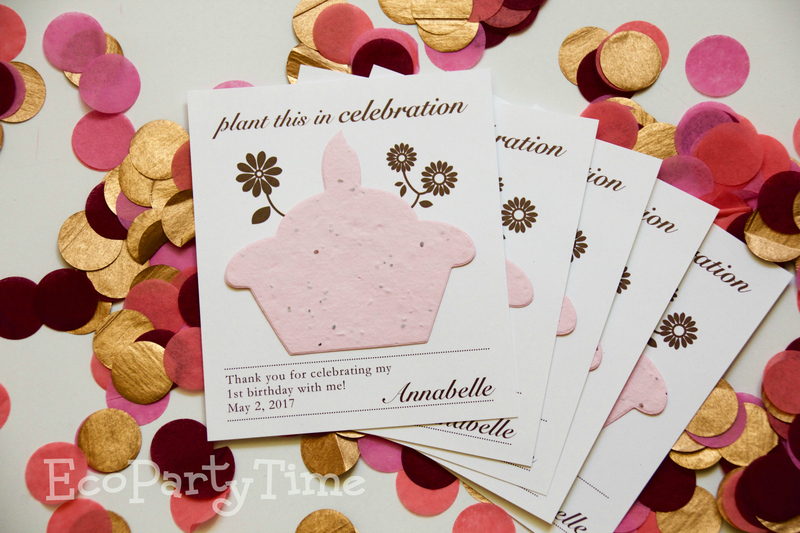 Make your upcoming events and parties extra special with our Plantable Cards and Favors! We’ve got card favors for all sorts of different occasions. 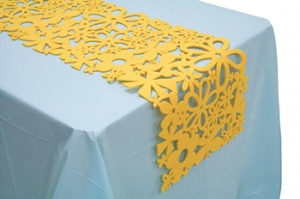 Whether it’s a Bar Mitzvah or Baby Shower - We’ll help you achieve eco-friendly style. You may have heard of plantable cards before - but what exactly are they? Here are some great things about plantable cards you may not know! Plantable Cards are eco-friendly and tree-free. They are made with a plantable seed paper that contains high-quality flower seeds. What do my guests do with Plantable Cards? You guests can take these cards home to plant them and grow their own flowers! Simply plant the paper in a pot or in a garden and cover with a layer of soil. With lots of water & sunshine, you’ll have lovely flowers in no time. Why should I use Plantable Cards for my event? Many people take invitations and throw them away after the party or event. This can be a waste of paper! With these plantable cards, there is there zero waste. 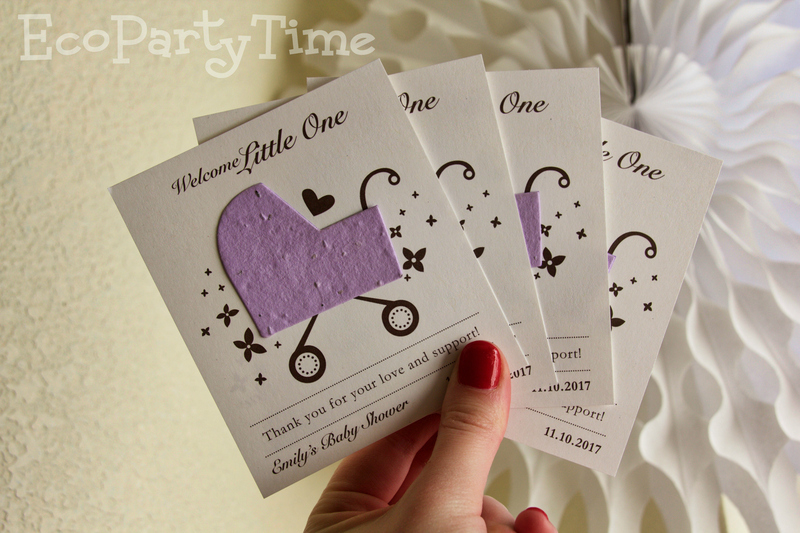 Plus these aren’t only invitations, they are a gift! With a little love and care they are a gift that keeps giving. For special events like a birth or baby shower, people can remember your sweet little one every time they tend to their flowers. 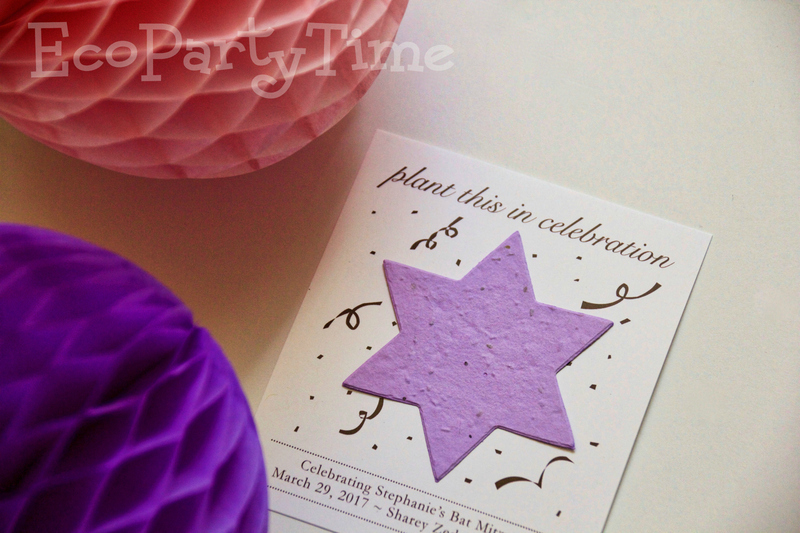 These plantable cards serve as an invitation, a party favor, and a cute reminder. Can I personalize my Plantable Cards? Of course! 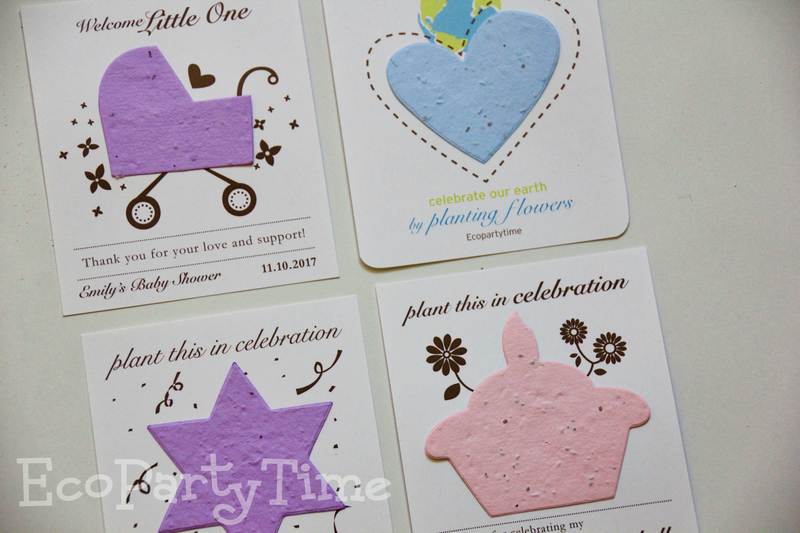 Ecopartytime has all sorts of plantable card options and once you choose, you can personalize them however you like. Add names, dates, or cute little messages for your guests. Now you're a Plantable Card & Favor expert! 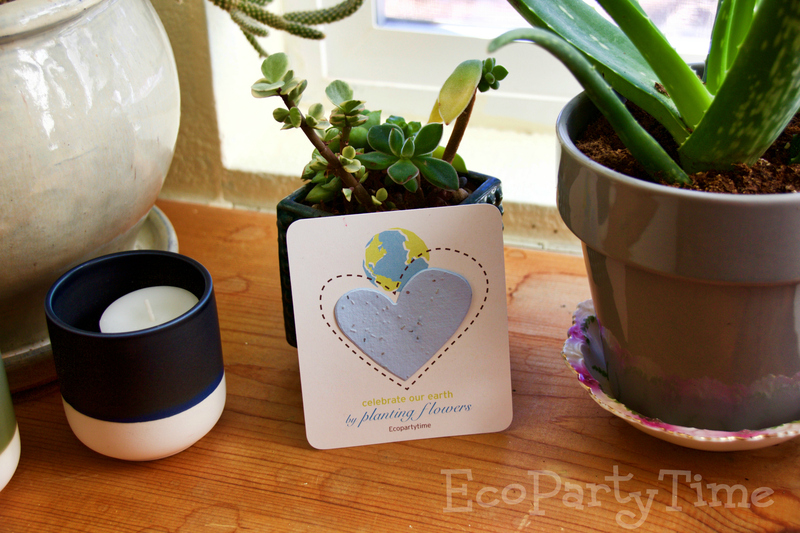 Head to Ecopartytime and check out all of the beautiful plantable card options. You should be able to find the perfect cards for your next event. Alexa Klopfenstein is Ecopartytime's social media manager. She is a young creative enthusiast who uses her talent in marketing. She has a BS degree and is very passionate about photography. She is a Colorado girl who loves nature, hiking and eco-friendly products. Loved the party runners- they looked terrific on orange tablecloths with multicolored flowers at a party for 50+ women. The Viva Green napkins matched perfectly, but I had to look for contrasting cocktail size for the drink table. Would have liked more variety from you all! We are excited to bring new decorations that will go along with our eco-friendly tableware. Please check our new arrivals section next week. Get creative content from our green event experts in your mailbox.